We’ve not got one yet, but you’ve given me the idea now! We’ll get back to you shortly. Very informative article. 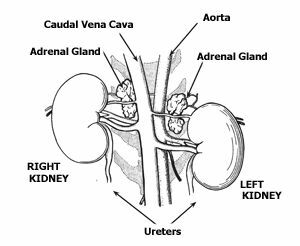 I had recently taken an online course on canine hyperadrenocorticism (the other OTHER name for cushing’s disease) and this was a very useful supplement read. 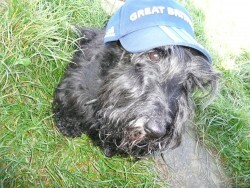 I lost a lovely purebred wheaten Scottie to Cushing disease. That Scottie came to me from a reputable Scottie Rescue in Northern California. It was not diagnosed earlier or he might have lived longer. He died at almost 7 years old. His fur was very thick and did not look like he was shedding too much, he looked fat but his belly felt very hard to the touch, which is a bad sign, and I would like to add that another sign to be alerted to is if the dog seeks cool places where to lie; the vet told me it was the disease which makes them feel hot. My babe did not want to sleep on blankets but always preferred the tile floor. He was treated for two years by the best veterinary clinic in Northern California and then died in his sleep. We are not even sure what occurred with our Miss Maggie. All we were told by The Vet, was her kidney values were way beyond bringing down to normal range. She was on IV and I feel she had Cushing’s Disease that came about 5 years earlier. She had the hair loss and the “pot belly” look. She was house broken yet she would drink till no water was left. Of course hundreds of urinal accidents occurred. I suppose hindsight is 20/20 and we still feel guilty for her death. Our 6 year old will receive a complete work up ASAP as my heart just can’t take another loss. My sweet lady has just been diagnosed – she is 10 years old abd tomorrow I start the ‘induction’ period. I am absolutely terrified of this. This Lysodrem sounds so lethal if you cannot even touch them without a glove? Any positive stories/cases please…I NEED TO BE POSITIVE. Hi – thank you for the response. At the last minute I spoke to my vet to change to Trilostane (Vetoryl) – here in South Africa it is very very expensive, but I really don’t care about that – I would sell my soul for the girls. She is now on the 3rd day of it and so far…so good. I am watching her like a hawk, and she seems to be doing good. Many thanks – really appreciate the support. 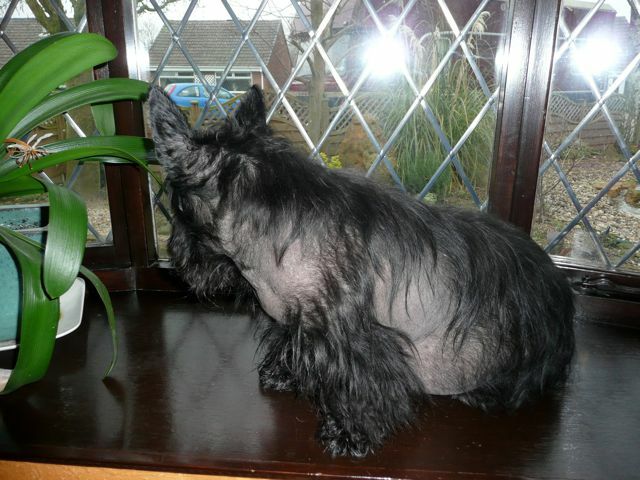 My Scottie is suspected to have Cushings. Been through the first round of evaluation and will do the second round next week. I am conflicted on whether to pursue the treatment or not. Thanks for your reply. I am still anxious over what to do and am open to any info I can find.. Is the facebook page under scottie health of what? Please keep me posted of whatever you think will help me with my fellow. Thanks again. Hi Rebecca – my little 10 year old girl is going for her 4th evaluation in two weeks. She has been on Trilostane for the second month now and the change has been remarkable. My vet and I are over the moon with the last results after just a month – she is far more comfortable, the thirst has stopped, the panting has stopped, she has lost a tiny bit of weight now and I can see she is feeling so much more comfortable. It is worth a try I reckon. All the best! Thanks so much for you reply. The second evaluation came back with negative results from the lab as opposed to the first round of tests. We are waiting to see what develops. He had a good month but is suddenly more skiddish, eating more, drinking more and looks bloated. I can deal when he has the good spells but get so concerned when he appears to feel bad and displays some of the symptoms. Guess I just have to love him and be diligent.